A few weeks ago, this handsome orange tabby decided to venture outdoors in the cold weather. He found himself on the back porch of a nice, young military man that had just moved to the area. The man felt bad for this cute orange tabby and brought him in out of the cold. Being the weekend, the man couldn't bring him anywhere to see if he belonged to anyone. When Monday came around, the nice man brought him into our clinic to see what he could do to see if anyone owned him or not. We scanned him for a microchip, and low and behold, the orange tabby had one. After contacting the microchip company, we found out he was one of our patients and called his mom right away. 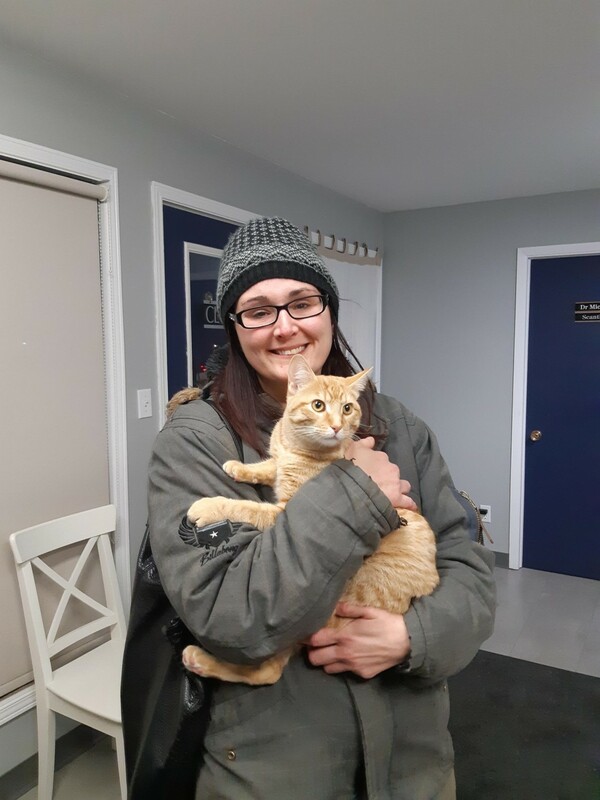 Fuzzy2 was reunited with his family and they were so happy to have him home safe and warm.